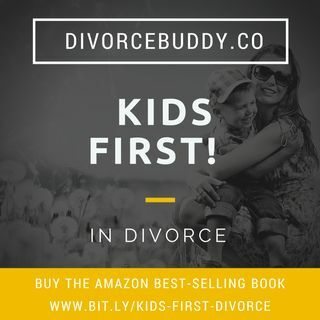 DivorceBuddy.co presents the "Kids First in Divorce" podcast based on our best-selling book, "Putting Kids First in Divorce: How to Reduce Conflict, Preserve Relationships and Protect Children During and After Divorce." Putting Kids First in Divorce, brings together leading divorce, co-parenting, and relationship professionals, who share their insights and perspectives on communication, conflict resolution, and supporting children through a transition. You’ll learn about ... See More alternatives to litigation such as collaborative law, mediation and divorce coaching — which are far less adversarial and more economical than family court.